Come and feel the spirit of Cuba with Yamil Cuedo Ferrera, Cuban dancer from the Ballet Folklorico Cutumba dance company, Santiago de Cuba. Night kicks off with a free beginners salsa class at 9pm, followed by latin music for dancing, Cuban dance performance and line ups. £5/£4 (stu), pay on the door. Money raised for Azul Wasi street boys project in Peru, see charities page for more details. 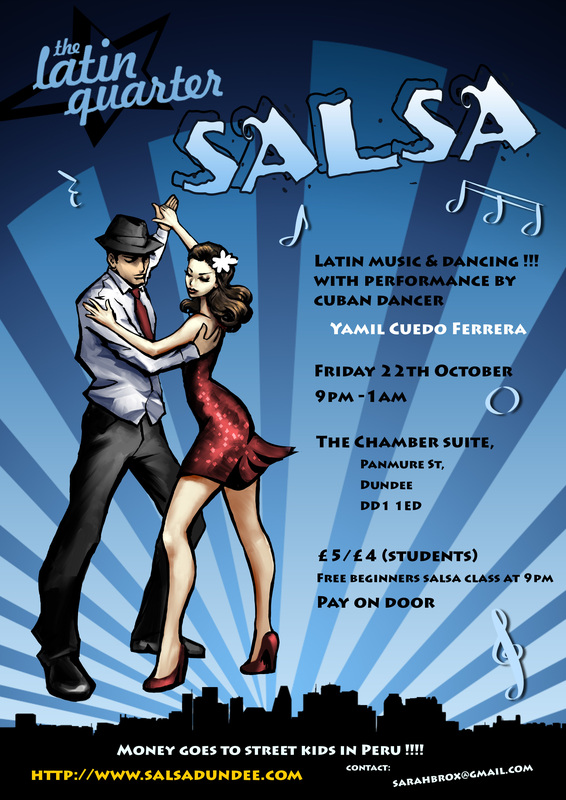 Cuban classes with YAMIL from 7.30pm till 9pm, email sarahbrox@gmail.com for more details and to reserve class spaces, will be extra fee for classes with reduced LQ entry fee.